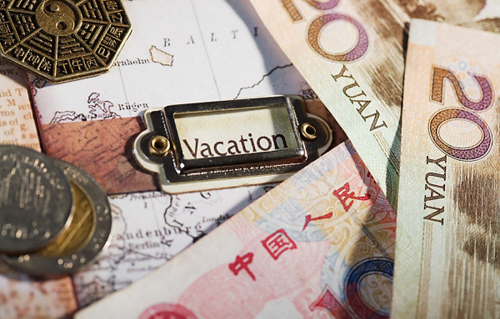 I Retire Early » Money » How to Save Money on Your Vacations? Book your discounted tickets – one should plan a vacation in advance so that he can schedule the dates according to the availability of the cheap and best air tickets. One can also approach the air ticket auction sites for best deals. Avoid Extra Luggage – Always try and travel light as it will save a lot. You can also avoid paying for that extra weighed luggage at the airport. Plan your Lodging – Always look for hotels and vacation rentals with the most to offer at the best price no matter your destination. If you plan to head somewhere tropical, Hawaiian Beach Rentals offers a luxurious amount of amenities and locations in many areas of Hawaii. Consult a tourism office at the airport – Don’t go in for purchasing costly maps or guides, simply go for a government tourism office and you can avail maps and guidance for yourself without paying a penny. Get the currency converted prior to the trip – Study the currency fluctuations and get your money converted when you can get the best exchange rate. Eat like a localite – avoid going in for fancy feasts as it could disturb your budget instead watch out for the local dishes and wander the streets to get the best food. Carry your own first aid kit – Try and carry all the necessary medicines and first aid equipments so that you don’t need to call a doctor in a place you are new to. Use Skype – You can save a lot on your phone calls by just directing the incomings on your skype. Also avoid using hotel phones as they charge you really high, instead go for local calling cards. Try going to the markets at night – At this time you can get some best deals on your shopping, behave as if you are a localite and go for some serious bargains. Always Bargain – Make this your habit while traveling, it will help you get some good deals and discounts for sure. Avoid the peak season – The last and the best tip, if you are low on budget but still want to experience the enthusiasm and a wonderful adventurous trip then always go in the off-season, as you get the best hospitality and can also avail some wonderful off-season discounts on your hotel packages. These were few little yet very important tips which one should always keep in mind while traveling, so don’t be shy and take the full advantage of your hard earned money and have a wonderful vacation. Great tips! Planning ahead is really important in order to experience a trip that runs smoothly and is affordable and doing so will allow us to uncover the hidden gems and secret deals. Keep posting! For the tip on “eating like a localite”, just be sure to double-check or be careful when trying some of the local restaurants. In some places the health codes aren’t like you would find back at home and it’s terrible getting sick or food poisoning while you’re on vacation!